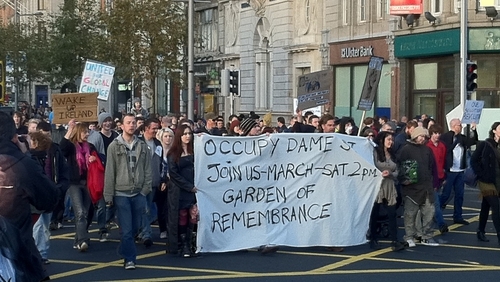 Occupy Dame Street protest organisers have marched from the Garden of Remembrance to the site of their demonstration outside the Central Bank in Dublin. Organisers say the march was for those who have been asked to shoulder a national debt that is not of their making. 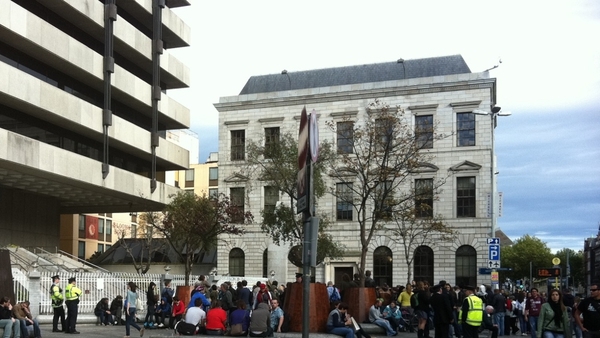 The protest's "tent town" on Dame Street was erected on 8 October in solidarity with the Occupy Wall Street protest, which started in New York in September. Protesters say they have no plans to end their demonstration.